Lindt has masterfully crafted this smooth, rich, full-bodied dark chocolate. It has a profound cocoa flavor and a surprisingly balanced taste. Lindt delivers a unique chocolate experience with a distinctly smooth taste. Lindt chocolate embodies the passion and expert craftsmanship of its Lindt Master Swiss Chocolatiers. 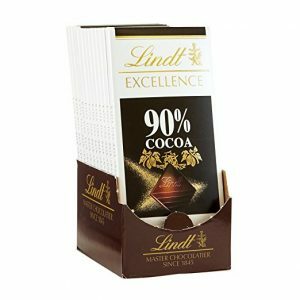 Get Lindt Excellence Dark Chocolate here. Experience intense, complex and perfectly dark chocolate with full-bodied flavor, accompanied by hints of dark cherries and dried plums. Only 4g of net carbs per serving. With 86% cacao, this luxuriously deep Intense Dark Chocolate delivers the ultimate chocolate intensity. Its full-bodied flavor is accompanied by hints of dark cherries and dried plums. 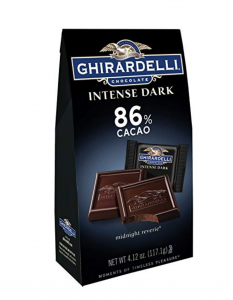 Get Ghirardelli Chocolate Intense Dark Squares here. SoChatti provides consumers a premium chocolate that preserves the unique flavors lost by today's highly-refined and mass-production processes. 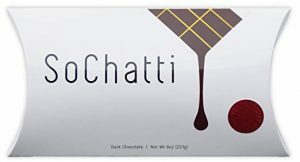 Produced using the company’s proprietary small batch manufacturing process and served as a warm liquid, SoChatti draws out the complex flavor and aroma characteristics of the beans to create a unique and superior chocolate tasting experience. Get Trade Secret Chocolates SoChattia here. 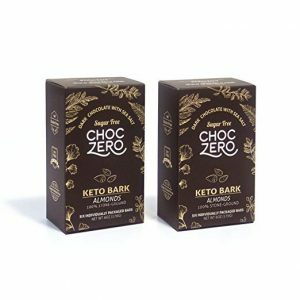 This keto friendly chocolate contains only 2 grams of net carbohydrates per serving. Dark chocolate is good for you, but it's even better when it isn't sweetened with sugar. Sweetened exclusively with monk fruit, our bark uses no sugar alcohols and no artificial sweeteners. 100% stone-ground premium cocoa beans for a unique creamy texture. Get ChocZero's Keto Bark here.